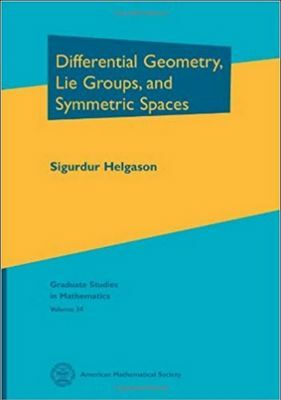 Differential Geometry, Lie Groups, and Symmetric Spaces - Heimkaup.is – Matur, raftæki, snyrtivörur, bækur, íþróttavörur, leikföng og sjónvörp. Allt sent heim samdægurs. The present book is intended as a textbook and reference work on three topics in the title. Together with a volume in progress on "Groups and Geometric Analysis" it supersedes my "Differential Geometry and Symmetric Spaces," published in 1962. Since that time several branches of the subject, particularly the function theory on symmetric spaces, have developed substantially. I felt that an expanded treatment might now be useful.